Shahir is the firm's national Co-Chair and a member of the firm’s Partnership Board. He was Managing Partner of the Montréal office for 7 years prior to becoming national Co-Chair. He has over 25 years of experience and is a recognized advisor in M&A, private equity and corporate finance. His private equity and venture capital experience includes advising funds on their domestic and cross-border portfolio investments and divestitures and on their fund formations. Shahir acts for a number of the country’s most successful technology and biotechnology companies. Shahir is on the Board of Directors of the Business Development Bank of Canada, GFL Environmental, Jubilant Draxis Pharma, and the board of the Chamber of Commerce of Metropolitan Montreal. He also sits on the boards of several other companies and was Co-Chair of Réseau Capital (Québec’s private equity and venture capital association) between 2010 and 2013. Shahir has received significant industry recognition, including Chambers Canada, 2016-2019, where he is recognized in the area of Corporate/Commercial (Québec) and Startups & Emerging Companies. 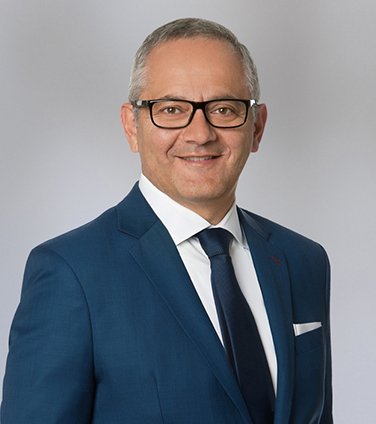 He has also received top rankings in eight categories of the Canadian Legal Lexpert® Directory (including Mergers & Acquisitions, Corporate Finance & Securities, Private Equity, Corporate Mid-Market, Corporate Commercial, Technology, Computer & IT Law and Biotechnology), and Lawyer of the Year honours in biotechnology by The Best Lawyers in Canada® 2017. Shahir is also recognized by IFLR 1000: The Guide to the World’s Leading Financial Law Firms, 2016-2019, in the area of Investment Funds, M&A and Private Equity. Investors led by BC Partners and Ontario Teachers' Pension Plan in the $5.125 billion recapitalization of GFL Environmental Inc.
Les Industries Flexipak Inc., in connection to the sale of 100% of its shares to Transcontinental Inc.
Dalcor Pharma in its $150 million of Series A and B preferred share financings. Asterix Inc. in connection with the $188 million preferred shares financing by Investissement Québec and a refinancing of existing $300 million credit facilities. Blockstream Corporation in over $100 million of ﬁnancings. Represented SweetIQ Inc. in respect of its acquisition by ReachLocal, a USA TODAY NETWORK company and a part of Gannett Co., Inc. a company listed on the New York Stock Exchange. Persistence Capital Partners, in connection with the subscription of Class C Shares in the capital of Rx Drug Mart Inc., a company specializing in the business of acquiring, consolidating and operating pharmacies across Canada. Counsel to Caprion Biosciences Inc. it its recapitalization by GHO Capital Partners LLP. Canadian counsel to Zebra Technologies it is acquisition of the Enterprise business of Motorola Solutions. Counsel to TeraXion Inc. in its sale to Ciena Canada, Inc. of TeraXion’s high-speed photonics components (HSPC) assets for a purchase price of USD $32 million. iNovia Capital Inc., in connection with the formation of its new venture capital fund, iNovia Investment Fund 2015, which raised $175,000,000. Information Venture Partners in connection with the closing of its second FinTech fund. Radialpoint SafeCare Inc., in relation to the sale of its Technical Security Services Business to AppDirect Canada Inc.
HarbourVest Partners in connection with the formation of HarbourVest Canada Growth Fund, a venture capital fund of funds formed as part of the Government of Canada’s Venture Capital Action Plan. The fund raised over $300 million. MEGA Brands in connection with its US$460 million public acquisition by Mattel. POSCO of Korea and China Steel Corporation of Taiwan in their $1.1 billion investment in ArcelorMittal Mines Canada’s iron ore mine business. Teralys Capital in the formation of almost $2 billion managed fund of funds. Turris Sites in its sale of a controlling interest to InSite Wireless of the United States and a subsequent securitization transaction. SABIC (Saudi Basic Industries Corporation) in direct equity investments into North America. Jubilant Organosys Ltd. of India in its $250 million acquisition of NASDAQ and TSX listed Draxis Health Inc. Beyond the Rack, in over $80M of financings, including with Highland Capital and Panorama. Formation of the following funds: Rho Canada, Persistence Capital Partners, IGAN, Information Venture Partners, iNovia Capital, Real Ventures, TVM Capital, Lumira Fund II, Lumira Merck, Sanderling, CTI Life Sciences, Tandem Launch Technologies, Cycle Capital and others. "He has a big presence in this market." "[Shahir is] a real top M&A guy; he is an extraordinary individual. He is a great thinker and can help us put all of the right pieces in place." The Lexpert/American Lawyer Guide to the Leading 500 Lawyers in Canada, 2017-2018: Corporate Commercial Law and Corporate Mid-Market. Osler Montréal, Community Day. The art of investing ourselves in making a difference! The Law and Pratice of Down-Round Financings: United States and Canada, panelist at the ABA conference Business Law Section – Spring Meeting, Montréal, April 9, 2016. CEO Vision PDG, Seminar on “Exit Strategies”, Mont-Tremblant (2014-2016). The Role of State Financial Institutions in the Development of Social Entrepreneurship, Rise Egypt Launch, Harvard Medical School, June 2014. American Bar Association, National Institute on International Regulations and Compliance, Panel on “Regulatory Pitfalls on M&A Deals”, Washington, DC, October 2014.